Originally released in 1984 and 1985 respectively, synthpop maestro Howard Jones‘ Human’s Lib and Dream Into Action albums are receiving the remaster / reissue treatment courtesy of the highly dependable Cherry Red Records. As well as super deluxe versions of the albums, there are lovingly curated coloured vinyl, single CD and 2CD+DVD sets of each available. Both albums were huge 80s successes, spawning multiple hit singles and placing Jones squarely into the living rooms of the nation. Beginning with the spiky, restless, but highly tuneful ‘Conditioning’, Human’s Lib was a masterclass in pop-with-a-conscience. Appearing the year before with the effervescent and ubiquitous ‘New Song’, Jones gave the impression of an artist who had honed his art in his bedroom and arrived seemingly fully formed – even the ‘rough’ mixes included as bonus tracks sound anything but rough. In fact, of all the albums to receive the ‘warts and all’, throw-everything-in reissue treatment, the quality of the extra material on Human’s Lib is pretty staggering. There are eight versions ‘New Song’ alone on the super super version and they are ALL worthy of a place – truly. Want the Portuguese 7″ Single Mix? You’ve come to the right place! After that opening track, there is a 1-2-3 salvo of smash hits, in fact the brooding pop of ‘What Is Love?’ (also included in its initial carnation as, simply, ‘Love’) was an even bigger hit than the debut single, denied the chart’s pole position only by Paul McCartney‘s ‘Pipes Of Peace’. ‘Pearl In The Shell’ was enhanced by some mean brass and stomping beats while the forlorn loveliness of ‘Hide and Seek’ was a brave choice of single at the time and started to show the real depth in Jones’ material. However, it’s not just a front-loaded synthpop album, songs like ‘Equality’ and the title track showed Jones to be streets (years!) ahead in his subject matter and lyricism too, a matter not always recognised at the time due to, in honesty, snobbishness at the Smash Hits image, which some less enlightened folk automatically equated with shallowness. Meanwhile, the intro of ‘Natural’ still sounds like a long-forgotten 80s TV show theme tune, perhaps for an afternoon quiz show, and ‘Don’t Always Look At The Rain’, with its melancholic music at odds with its positive lyric still sounds like a Number 1 single in a just world. There’s some fascinating stuff in the extras, the superb ‘Always Asking Questions’ previously only appeared on the between-albums round up of The 12″ Album and its inclusion here is most welcome. There are several excellent 12″ versions of the singles, B-sides and a wonderful Kid Jensen session (notwithstanding the toe-curling spoken word intro to the track ‘Human’s Lib’ that it would be churlish to mention!) – but the record has aged very well indeed and still sounds incredibly fresh. 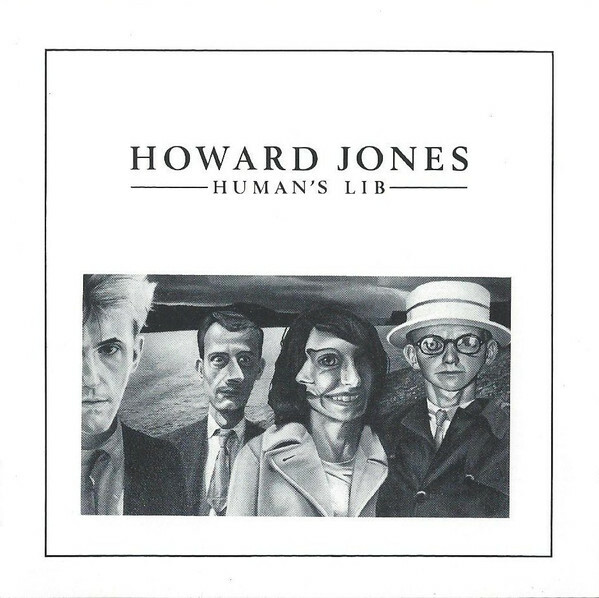 Almost a year to the day after Human’s Lib appeared Jones’ second album proper, Dream Into Action. After the success of the debut, it was perhaps inevitable that the second record would sound a bit more, well, expensive, and perhaps a little more tilted towards achieving (more) Stateside success. Opening track and first single ‘Things Can Only Get Better’ featured jazzy brass and an appearance from backing singers par excellence Afrodiziak, who featured in their number Caron Wheeler and the brilliant Claudia Fontaine (who very sadly passed away earlier this year). It was a really great single with an irresistible hook and stormed the charts at the start of 1985. The one slight problem with Dream Into Action though was that the second and third singles, ‘Look Mama’ and ‘Life In One Day’ were perhaps the weakest songs on the record, the other album tracks being a lot more interesting. The title track, for one, has a lovely, crisp bass line and ominous synth details floating around Jones’ heartfelt vocal. The centrepiece of the album is the superb ‘Assault and Battery’, Jones’ very own ‘Meat Is Murder’ and actually released within a couple of weeks of The Smiths album and song, while ‘Automaton’ begins with a very Kraftwerk intro before becoming very much a Howard Jones track. ‘Elegy’ is really beautiful, sparkling keys and a lonesome cello, no drum track and a touching vocal as Jones addresses the subject of suicidal depression with a real empathy. ‘Specialty’ meanwhile takes a look at self-acceptance, and a fidgety verse gives way to a glorious chorus; it’s a brilliant juxtaposition. ‘Why Look For The Key’ and ‘Hunger For The Flesh’ close the album on a high – the second half of the record containing some of Jones’ most heartfelt and touching music to date. And again, there is an embarrassment of riches when it comes to the extra tracks – ‘Bounce Right Back’, B-side of ‘Things Can Only Get Better’ features Jones almost-rapping, while a big bonus is the inclusion of non-album single ‘Like To Get To Know You Well‘, another Top 5 smash with an inclusive, anti-racist message. The ‘International Remix’ of the track is lot of fun too, with Jones singing in several different languages to further enhance the message of the song. There’s even a demo version ‘recorded in Howard’s front room’. As if all this wasn’t enough, the deluxe versions come with contemporaneous DVDs including demos, TV appearances and promo videos. These albums are long overdue a reappraisal and have aged wonderfully well – amazingly, neither has ever been reissued with any kind of bonus tracks before. Jones’ worldview over 30 years on seems even more poignant and relevant in today’s difficult times. Human’s Lib and Dream Into Action are released by Cherry Red Records on 30th November 2018.